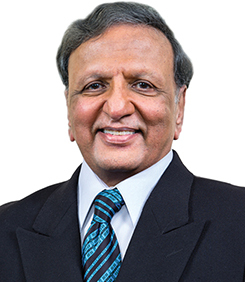 Dr Dhiru Tanna has been a member of the Board of the Jamaica National Building Society since 1981 and continues to be a director of JN Fund Managers Ltd., which he served as Chairman between 2005 and 2015. He is a long-standing member of the Society’s Finance and Investment Commitment, now renamed the Risk Committee, which he has chaired since 2015. With the restructuring of the Society on February 1, 2017, Dr Tanna was appointed Chairman of the MCS Group, the non-financial holding company, which falls under the mutual holding company, The Jamaica National Group. A graduate of the University of London and the University of California, Berkeley, Dr. Tanna is an Economist. He is a former Director and Chairman of a number of Jamaican and West Indian companies. His career spans assignments in Uganda, the USA, Puerto Rico and several organisations in Jamaica, and other CARICOM states. Some of these entities include Neal & Massy Holdings Ltd, The University of the West Indies, Jamaica National Investment Co. Ltd. (JNIC) and Capital Development Fund. Dr. Tanna has served as a Director of the Development Bank of Jamaica between 2007 and 2016. He is Executive Chairman of Blue Power Group Ltd. which was listed on the Junior Market of the Jamaica Stock Exchange in 2010.